Welcome to the brave new world of the anti-aging industry. A business that used to revolve around powder and paint—subtle agents to enhance beauty and help one age gracefully—has been overrun by steroids, human growth hormone injections, plant-based “bio-identical” hormones, and never-ending web ads for red wine extract. 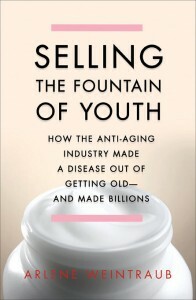 In Selling the Fountain of Youth, Arlene Weintraub, who spent more than ten years as a science reporter at BusinessWeek, takes us inside this world—from the internet marketers behind the rise of açai berries to the backrooms of local pharmacies, where made-to-order, non-regulated compounds are produced; from celebrity promoters like Suzanne Somers and Oprah to the self-medicating doctors who run chains of rejuvenation centers to tout their “miracle” cures. 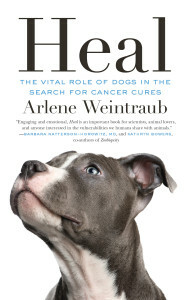 Weintraub brings readers inside the trade organizations, for-profit companies, and other players that have sought to legitimize anti-aging medicine—“medicine,” she argues, that’s based mostly on hope, leavened with stories and weak science. Weintraub also reveals the remarkable economic and cultural impact of anti-aging medicine. The treatments, most of which have not been subjected to double-blind scientific studies, could, the author argues, actually reduce a patient’s overall health even as they drain their pocketbooks. It’s not a pretty story, but Weintraub doesn’t flinch from revealing the high cost of staying young. Before you decide to pop your ﬁrst pill or take your first shot, read this book and learn the true costs of the quest for eternal youth. Copyright © 2010 Mansueto Ventures LLC. All rights reserved. Read more about Selling the Fountain of Youth here and on Facebook. Grey horses are genetically predisposed to getting melanoma. However, the cancer is very different in horses as it does not usually spread, unlike the disease in humans and dogs.